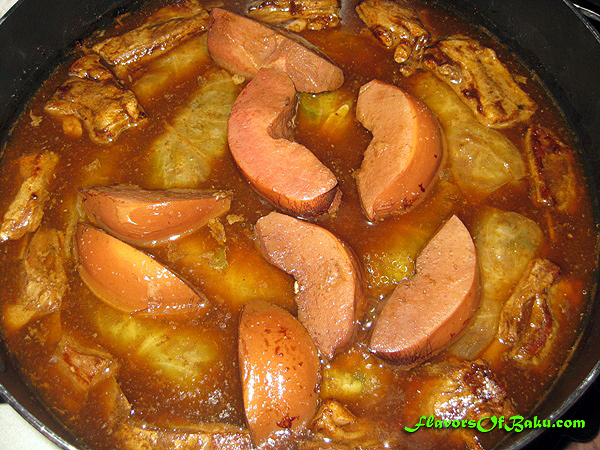 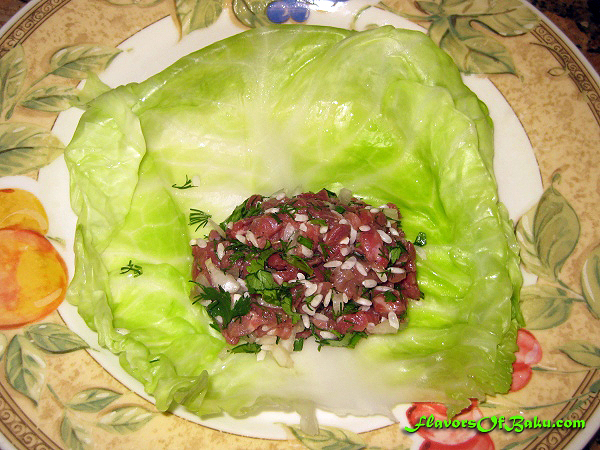 OSH YARPAGI is the dish of the Mountain Jews from Azerbaijan. 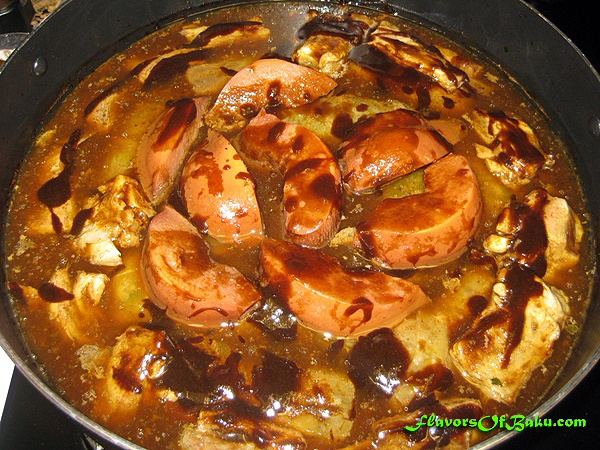 Mountain Jews are well known for their delicious cuisine. 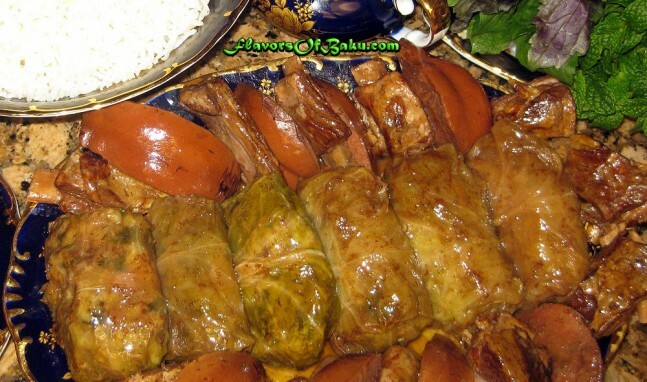 Many of dishes have been influenced by Azerbaijani cuisine and often share almost the same names as their Azerbaijani counterparts, but the Mountain Jews have their own, strictly national dishes as well. 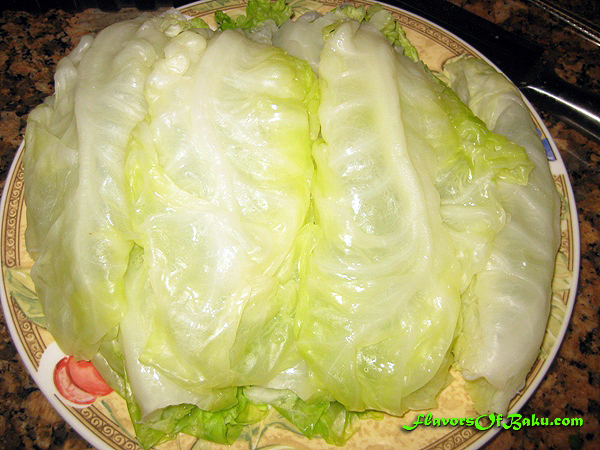 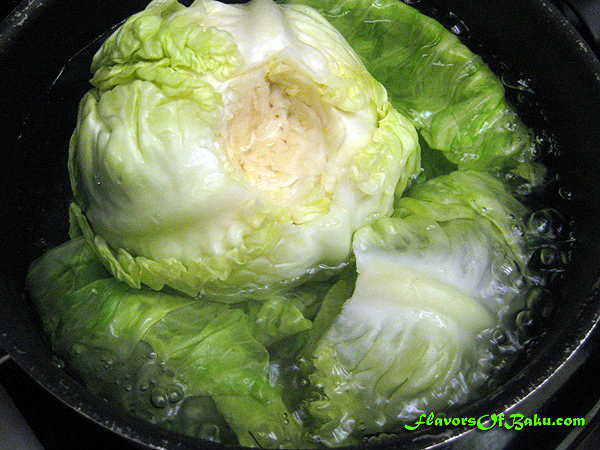 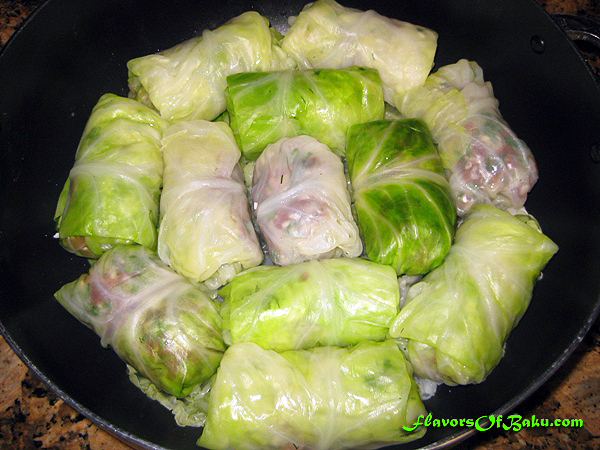 One is Yarpagi (yar-pa-khi)–cabbage leaves stuffed with chopped meat and cooked in a sour sauce. 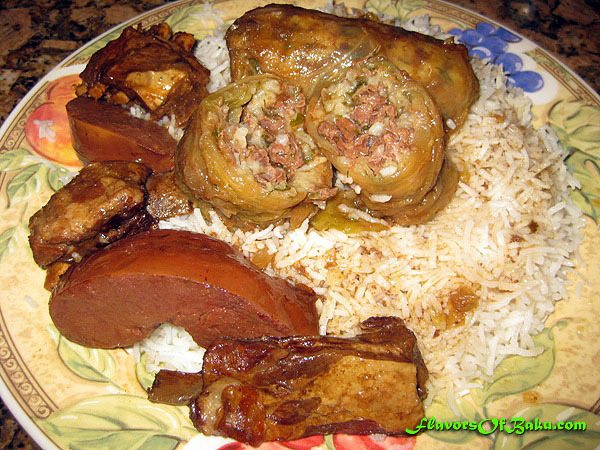 Yarpagi is usually served with Osh (rice). 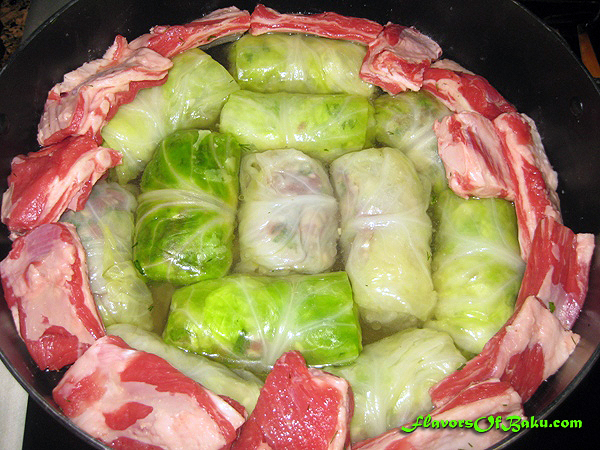 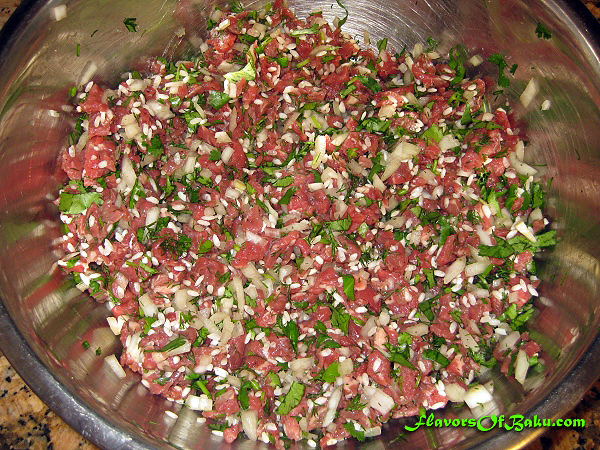 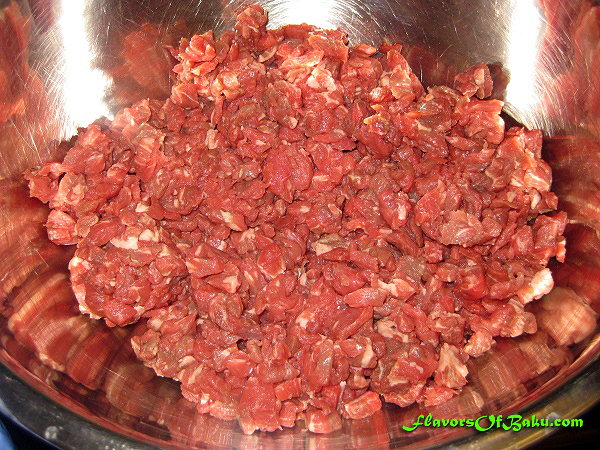 Place the meat filling (about 2 table spoons) on the leaf and fold the leaf into shape of square or rectangle, making sure the sides and corners are fold tightly. 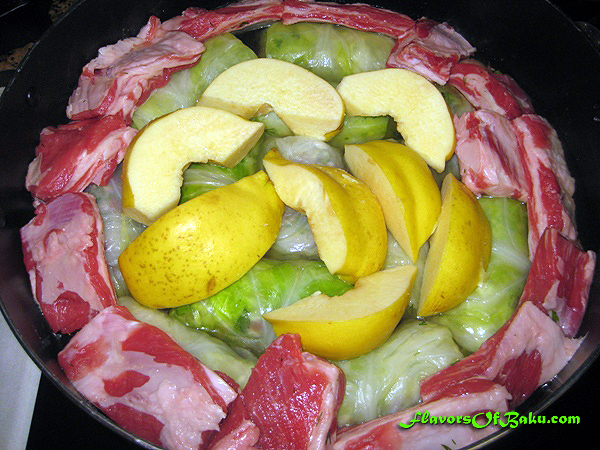 Cover the lid and cook for another hour over a very low heat. 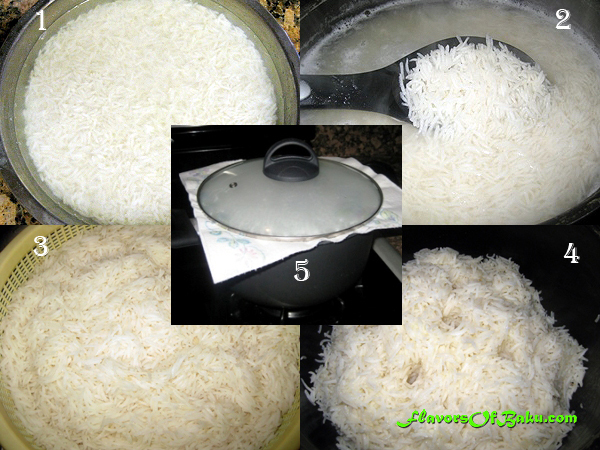 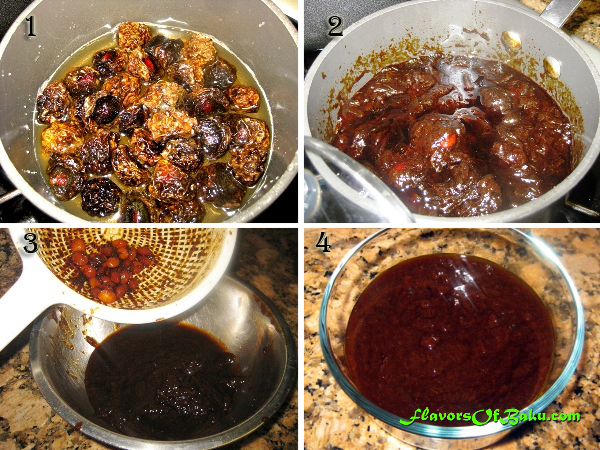 Serve Yarpagi with Osh, generously pour the sauce over the rice.